326 place | Vector illustration in rank M-rank: Chinese new year 2019, the year of the Pig\u002F greeting card. Pig of Illustration. Translation of chinese character is Happy New Year. 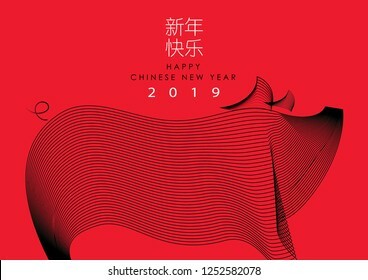 Chinese new year 2019, the year of the Pig\u002F greeting card. Pig of Illustration. Translation of chinese character is Happy New Year.